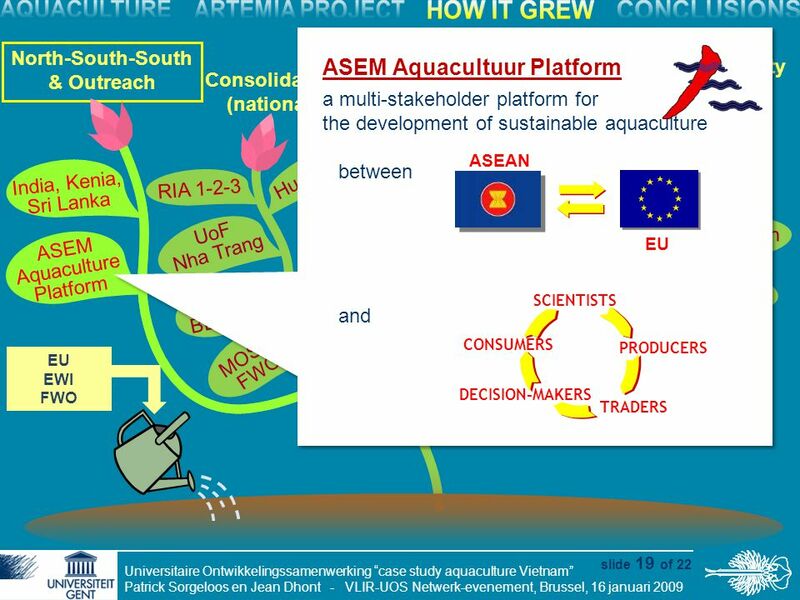 Universitaire Ontwikkelingssamenwerking en waar dit allemaal kan toe leiden... “case study aquaculture Vietnam” Universitaire Ontwikkelingssamenwerking. 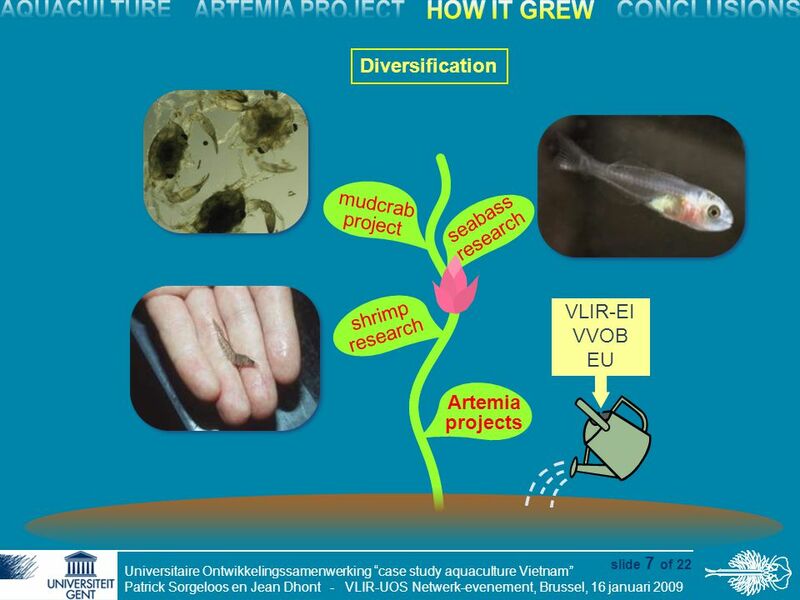 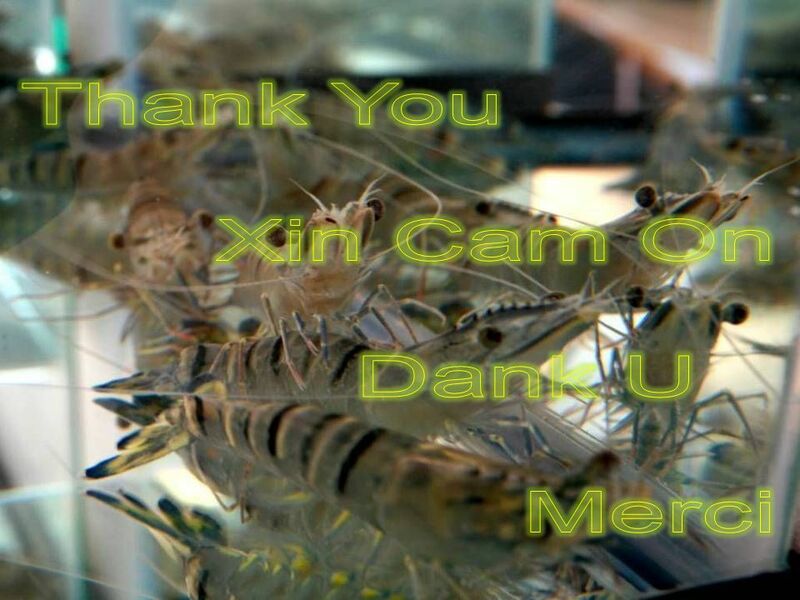 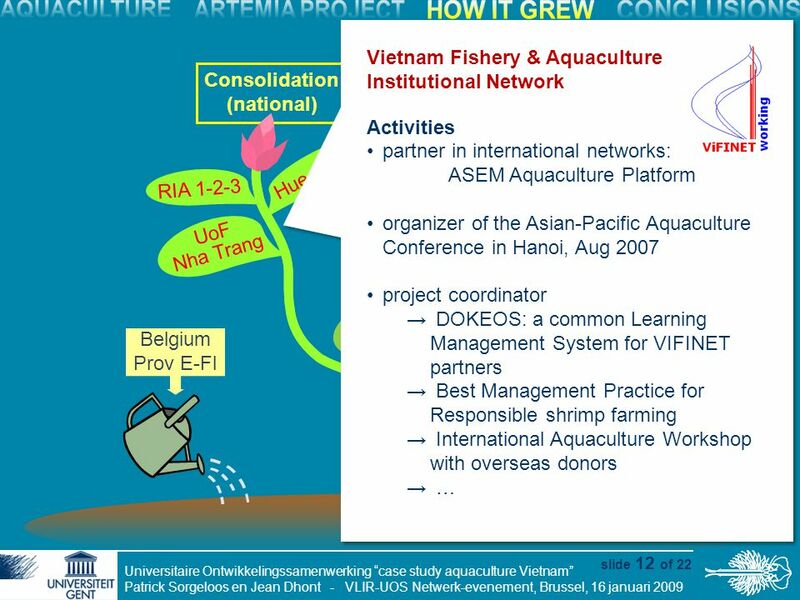 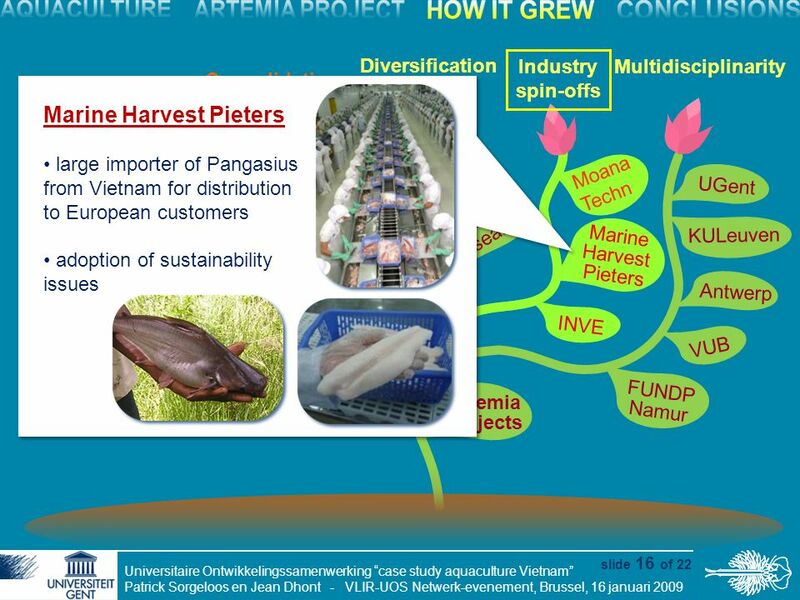 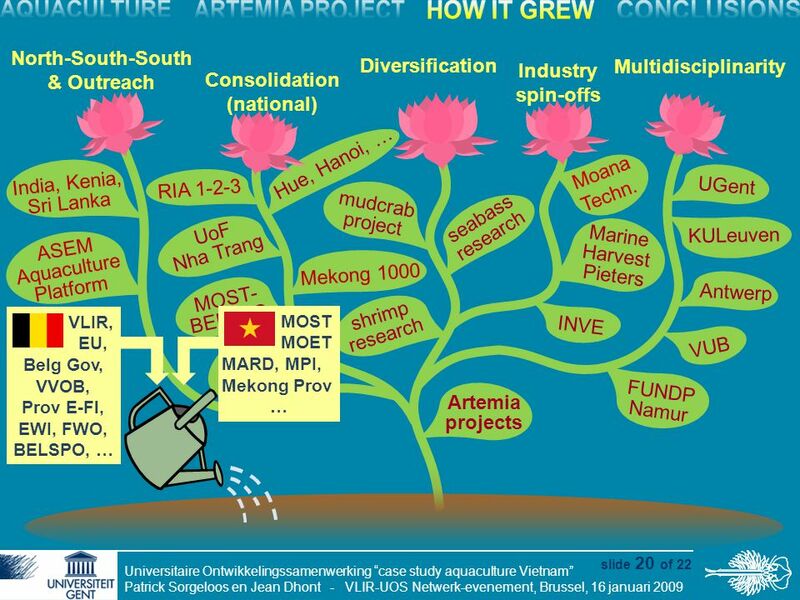 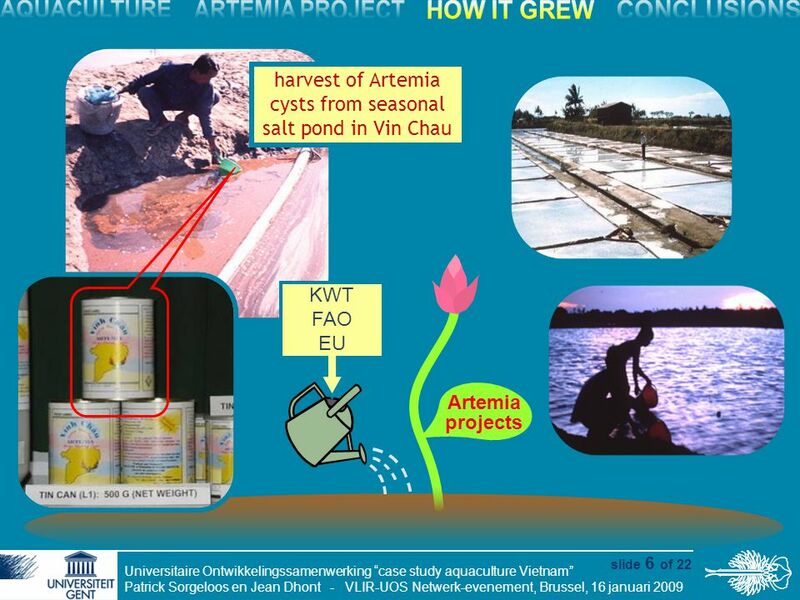 Download ppt "Universitaire Ontwikkelingssamenwerking en waar dit allemaal kan toe leiden... “case study aquaculture Vietnam” Universitaire Ontwikkelingssamenwerking." 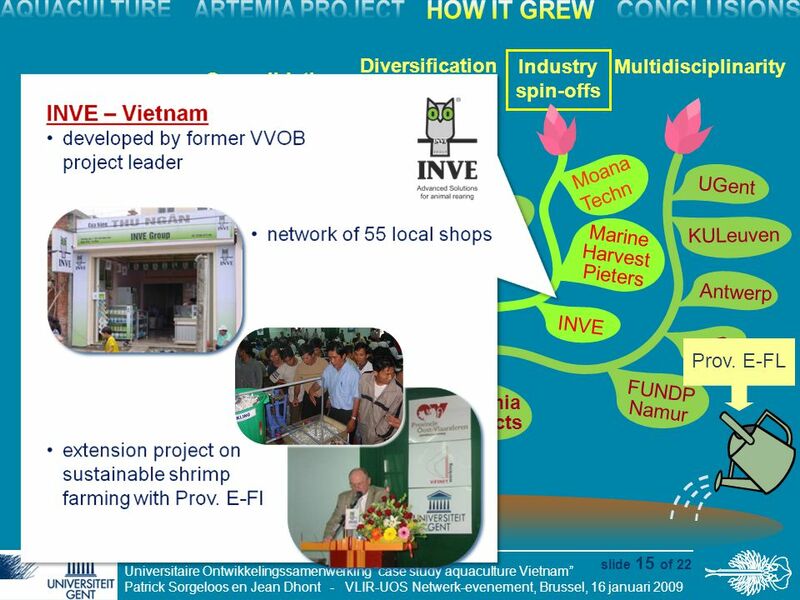 Biotechnology Information Network in Asia and the Pacific (BINASIA) Sang-Ki Rhee, Ph.D. Project Coordinator Korea Research Institute of Bioscience and. 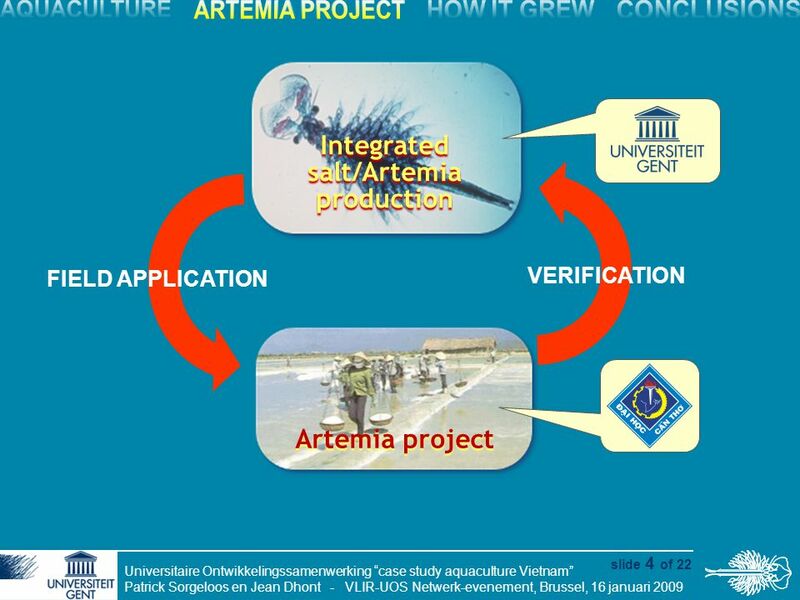 Stimulate industrial innovation and promote the development of MIPYMEs through the promotion of university-business public sector to enhance applied research. 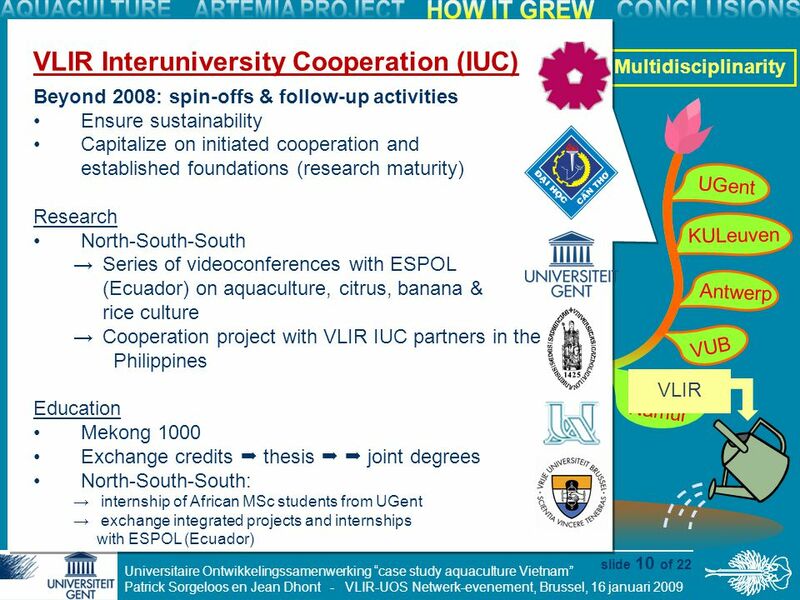 Capacity Building in Quality Assurance in Higher Education in the Asia-Pacific Region Dr. Antony Stella Adviser, NAAC. 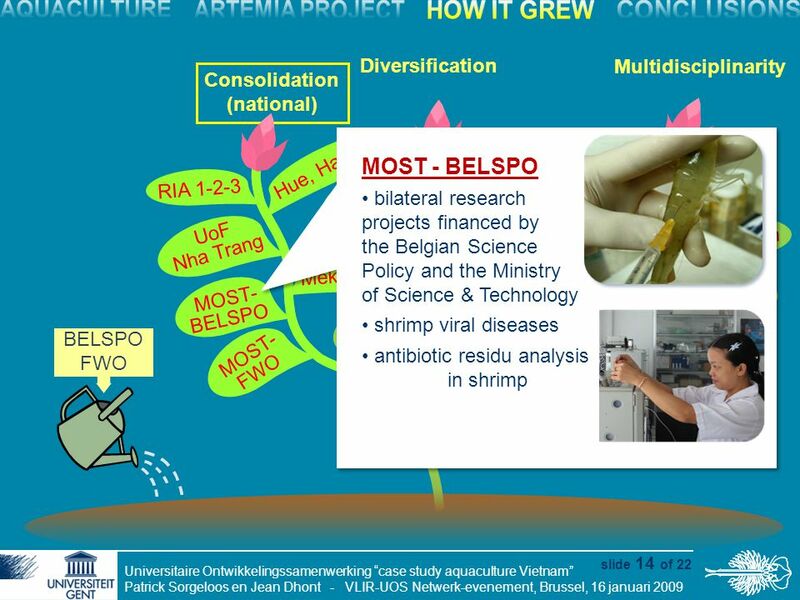 BOLIVIA SEMINAR Background, objectives and programme Brussels, 8 January 2015. 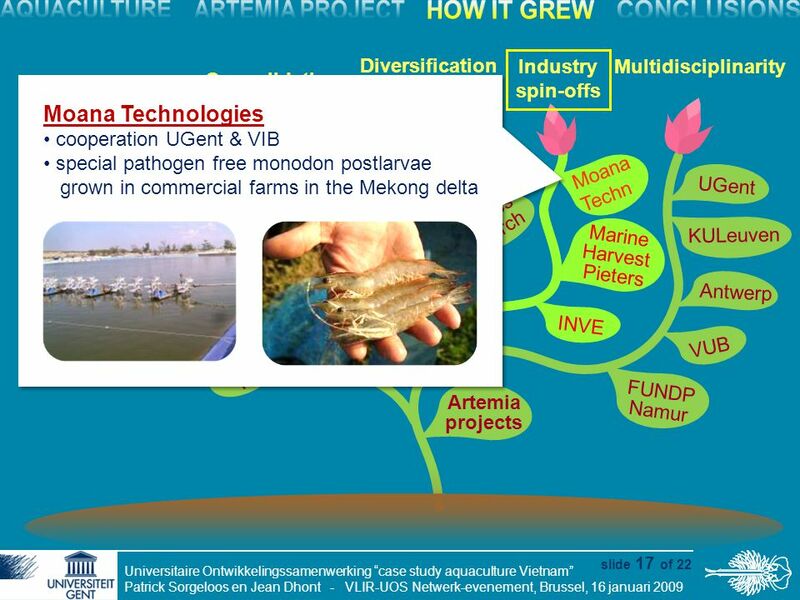 Visit UGent, EWI, VLIZ, RCN, NTNU, JPI Oceans at Qingdao – Oct 28-31, 2011 brine shrimp Artemia maybe the first link between China and Ghent University. 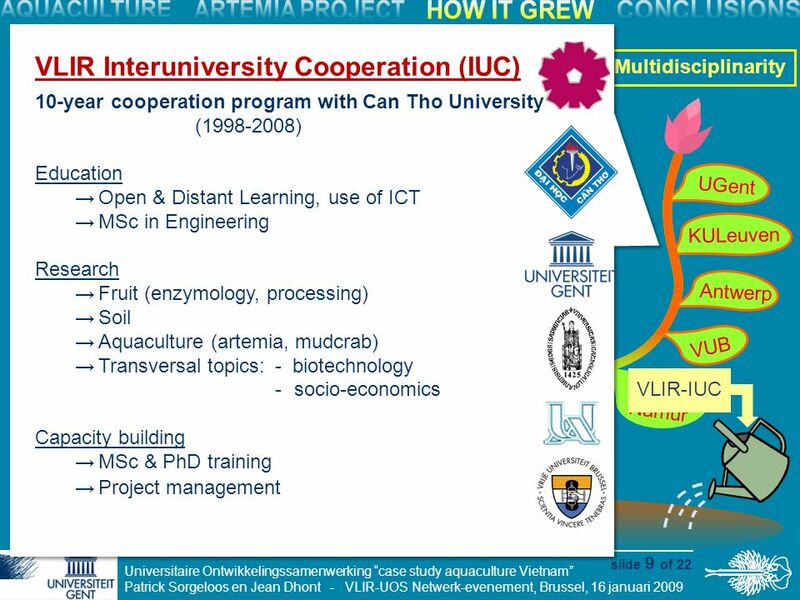 Luc Duchateau, Ghent University. 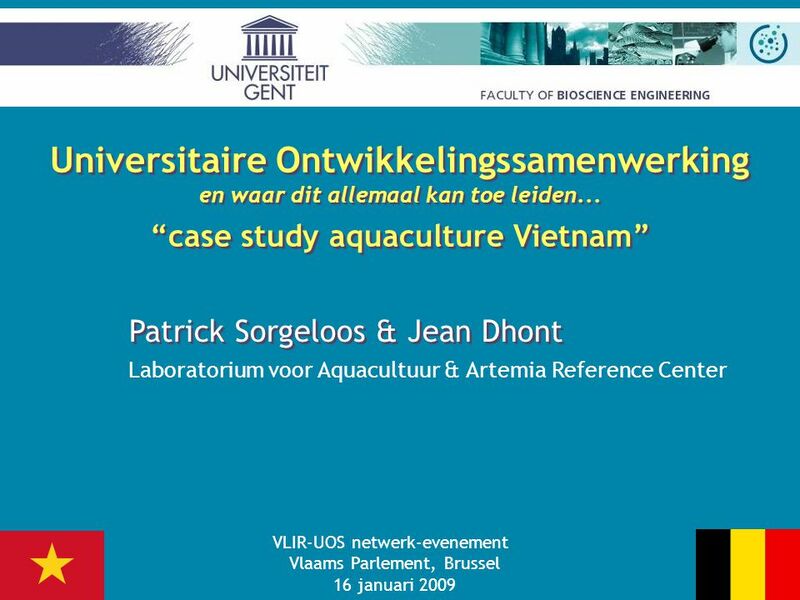  Study in Flanders, Make a difference at home! 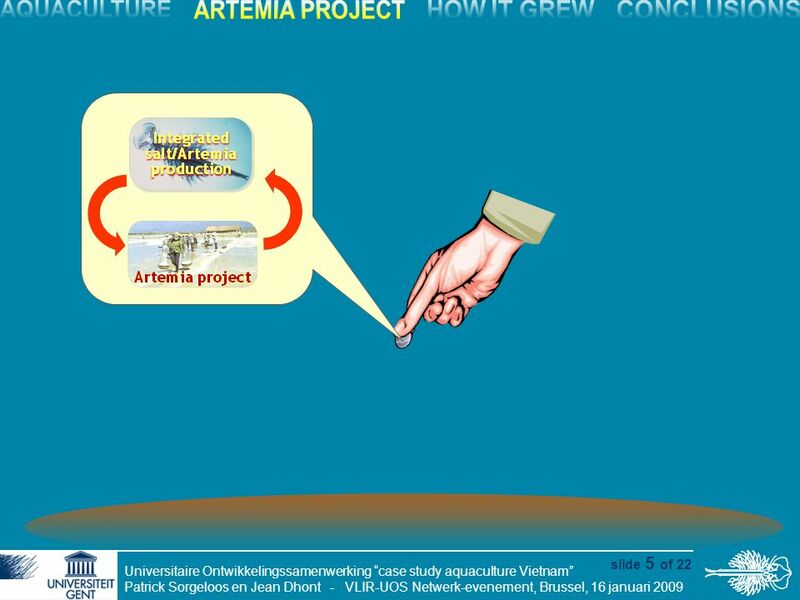  Are you able to make a difference? 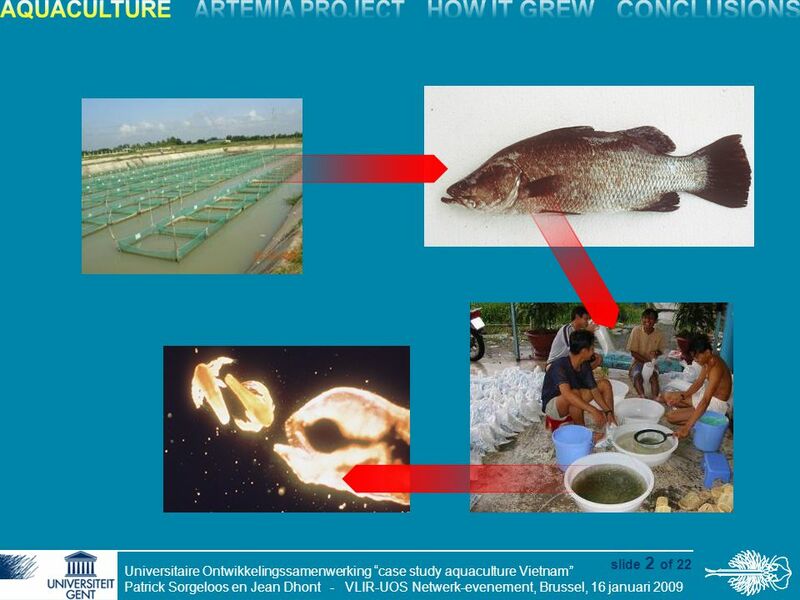  Are you willing to make a difference? 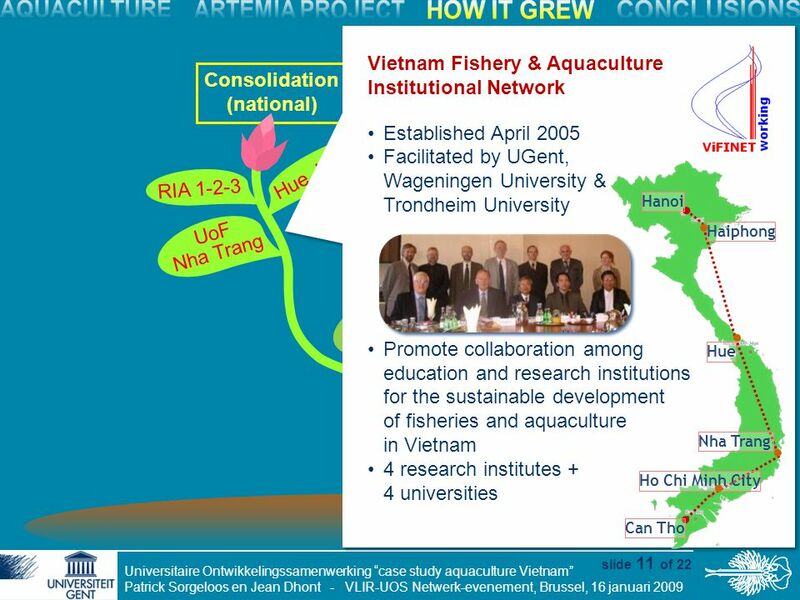 Prof. Dr. Nguyen Quang Thuan Vice President Vietnam Academy of Social Sciences. 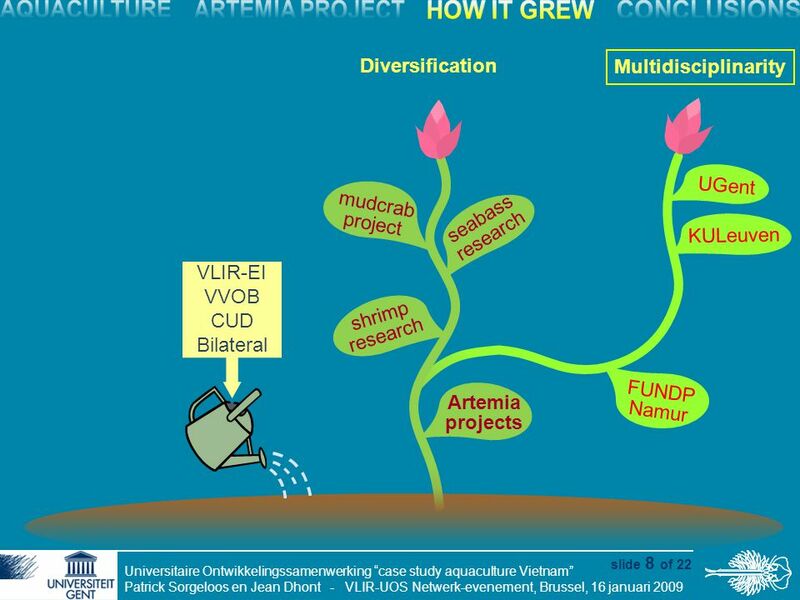 1 ECOSOC AMR 2008 National Presentation by Belgium How does Belgium implement the international goals and commitments on sustainable development? 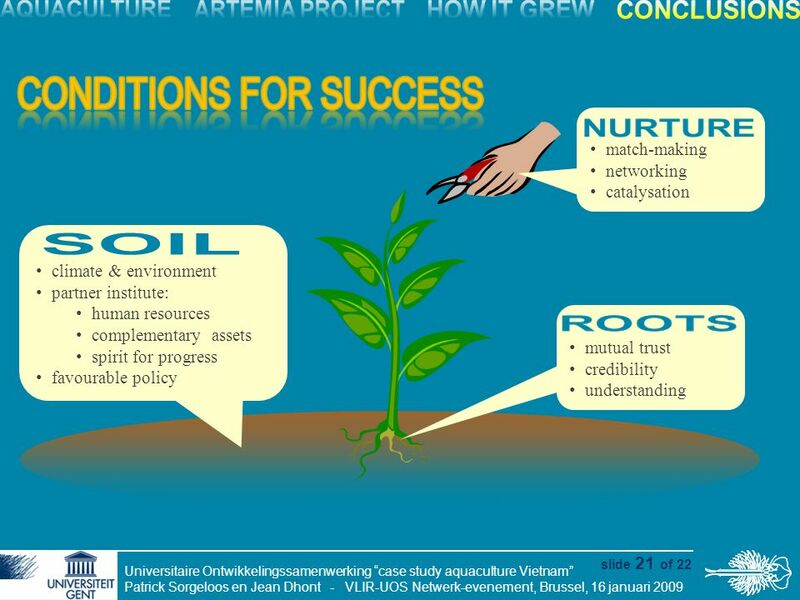 URBACT III LAUNCH EVENT Brussels, 16 th March 2015. 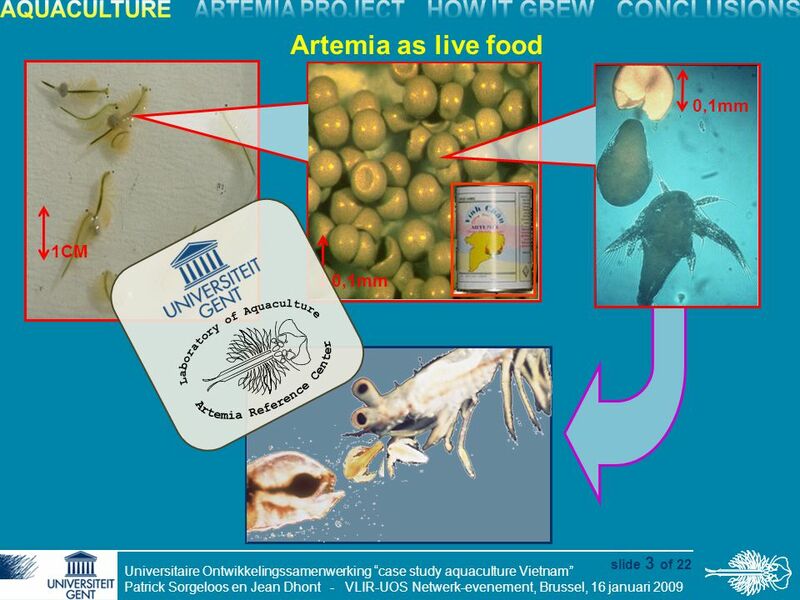 Global Initiative on Food Loss and Waste reduction Working Group on Food Losses, FAO.